This neon fabric caught my eye and I had to have it. I was dreaming about what to do with it, and thought---put it against gray! This gray chambray had been sitting on my shelf for about 5 months you guys--I was going to make a button down with it. (Not happening.) So--use it or lose it I say. I feel like it was destiny! Or serendipity...or whatever other word that fits. Then this one, which I adore, of course. 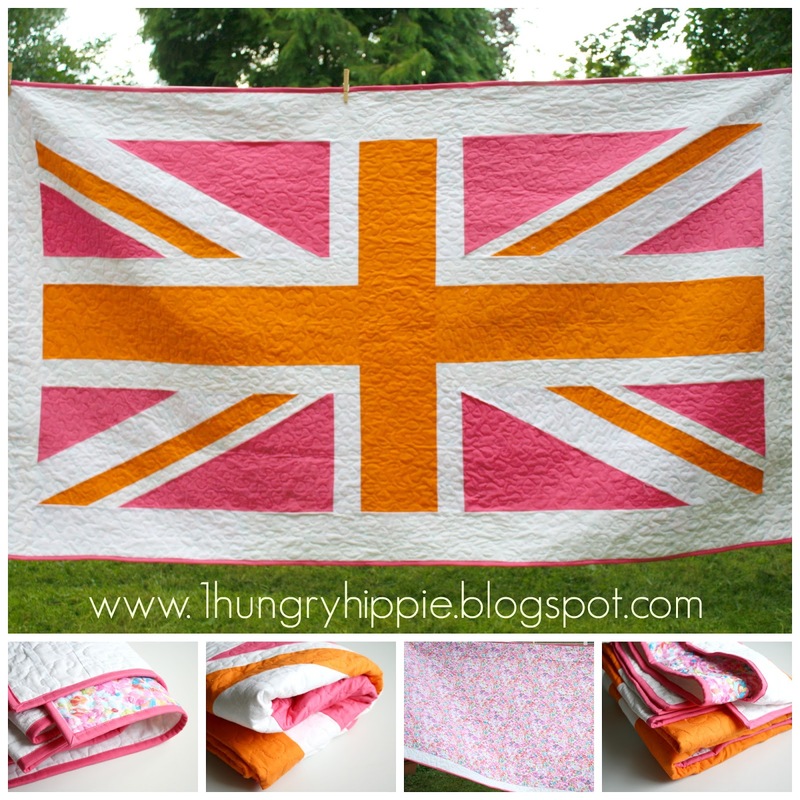 The Union Jack is such a great design in itself, it works in almost any color combination. I will be SO SAD when we leave the UK!! On a summer-y note, the roller skates came in! So now I have to run out and help my kids roller skate, though I'm not sure which will need more help-me or them? Wish me luck! Had to share this pic really quick--she said "Mommmy I'm hiding, come find me!" LOLOLOL! Look at you you sassy two-quilter! 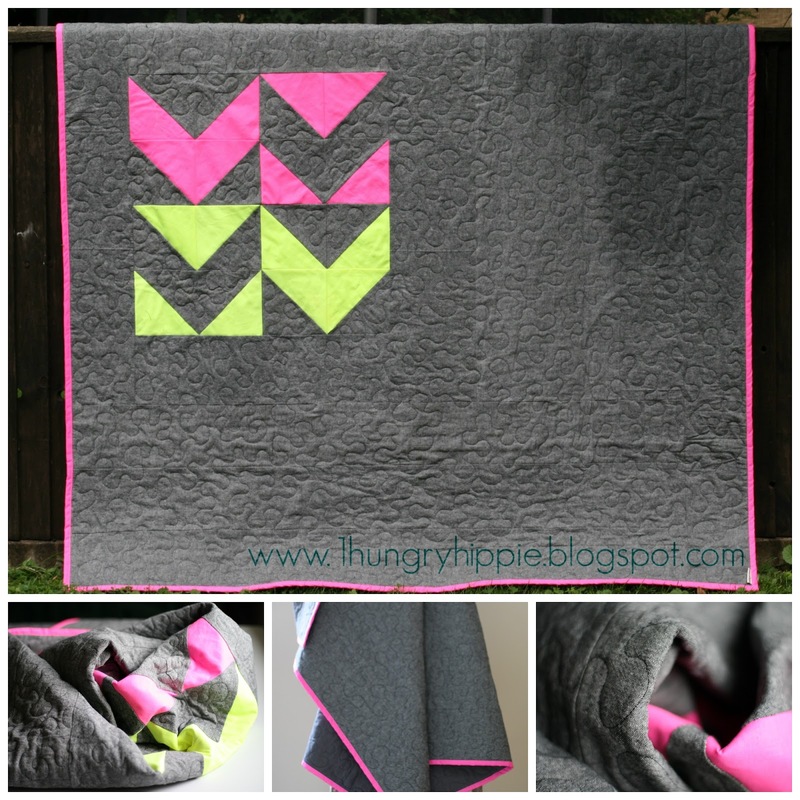 I especially love the gray quilt- it's so modern and cool!!! Thank you lovely! Can't wait to see what you whip up next! 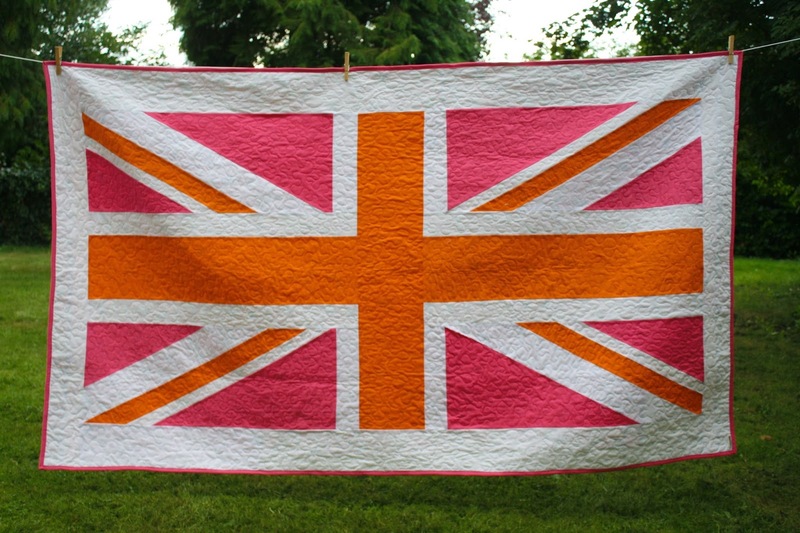 That Union Jack is amazing! Love the colors. And I loved your perv comment--that's totally something I'd say. Ha.